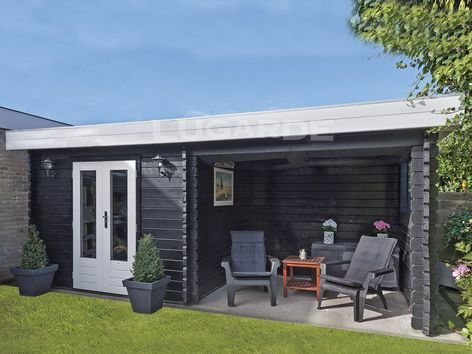 The Lugano features a log cabin to the left and a lovely sheltered veranda area to the right. Ideal for alfresco dining or simply enjoying your garden when the weather's not too great. Overall size 5m wide x 2m deep in 44mm log thickness. 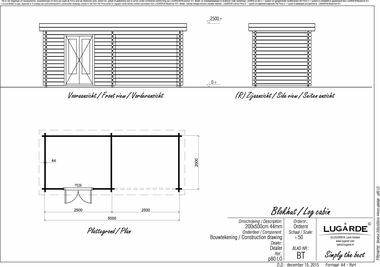 1 x PE26 double door is standard and canopy back and side walls are included. The cabin and canopy are the same size, 2.5m wide x 2m deep.